When you retire in Thailand you need to ensure that you have proper medical aid cover or a valid credit card in the event of an accident. If you do not have either you are not going to be admitted to a hospital. 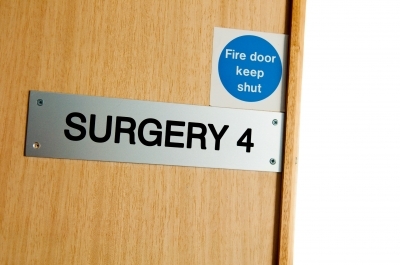 Note that the local government hospital might also not wish to carry the liability. For expats in Thailand healthcare is important and you will become ill with a change in pace in your life as well as a changed environment. Check with your local expat clubs for more information and assistance. ThaiLife – Depending on your age they will sell life cover with accident insurance included. Most times you can contact your local expat club in Thailand and they would normally have negotiated a contract with a medical aid company. Many will do group insurance which lowers the monthly premium for its members. This is usually you best bet. 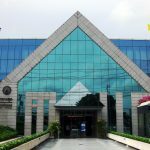 As an example the expat club in Pattaya does this however it is limited to those under 59 ½ years of age or younger and does not cover anyone aged 65 or over. If you have a pre-existing condition then you need to list this. If it is accepted then you can always argue later about the coverage. Don’t hide any pre-existing conditions. Medical fees vary in Thailand however the listing below are the average prices for dental care in Thailand. Medical care and hospital care also differ by location and procedure. Note that many US and UK medical aids are only for use in your home country. It will not cover anything outside of your country. Also note that Thai hospitals most times you need to pay first then claim from the insurance. BUPA being the exception when I last used it. Always ensure that you have proper medical coverage when in Thailand as you never know when the next accident occurs as traffic accidents are very common. 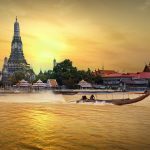 If you are going to retire in Thailand then always search for a law firm to assist you with not only your Thai visa but also bringing your goods into Thailand. Customs can be difficult and complicated however with a retirement it is best to search for a law firm that can offer a full service option. The information contained on our website is for general information purposes only and does not constitute legal advice. For further information, please contact us. There are some basic Thai words on this website as well as a brief view of the Thai language. There are a number of Thai languages schools if you are moving to Thailand. Somehting to think about when retirement comes. See more details here. You will see the requirements for the Thai retirement visa for Thailand. This is also known as the Thai O-A Visa at the Embassy. The process can become complicated. 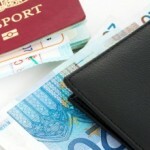 See more details about the visa process on this website here. If you have a retirement visa or a marriage visa then you need to check with Thai immigration every 90 days. 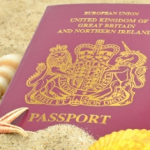 Before you leave Thailand you also need a re-entry permit. These are explained on this website here. If you are going to retire then you can rent or buy the property you are going to be living in. If you decide to buy property then speak to a property or real estate lawyer in Thailand today. See more details here. 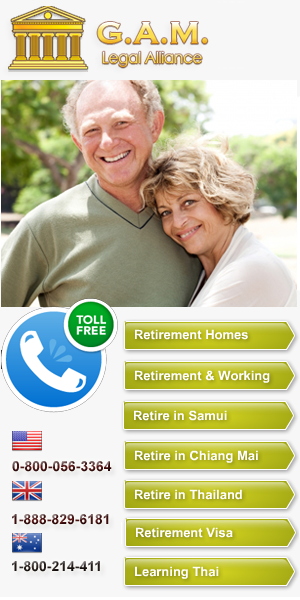 There are a number of places to retire in Thailand. If you like neon signs then Pattaya is a good start. Rural country life and Chiang Mai looks much better. There is also Hua Hin and Bangkok as a retirement location. See the options here. Moving and retiring in Thailand can be difficult if you have never lived in Thailand before. There are a number of issues from property to medical aid. There is also locations and visas. See the issues listed here.